IT’S ALMOST CHRISTMAS, Y’ALL! I am obsessed with the holiday season for so many reasons, but mainly because it feels so cozy. I have so many friends who love December because it gives them an excuse to watch holiday goodness on television, but I’ve never been able to relate. I’m not a big movie person (much to Vagner’s disappointment), so Christmas movies don’t really affect me. Holiday smells are a different story. Snickerdoodle cookies in the oven, a fir Christmas tree in the living room, my mom’s pumpkin pie on the table…now we’re talking. Here’s the thing, though: I’m way too lazy for a real Christmas tree or any pie making. I still want our apartment to smell like a winter wonderland, but there’s no way I can make it happen on my own. Thank God for Bath & Body Works. Their three-wick candles are amazing. Each candle burns for up to 45 hours and has enough fragrance to make an entire room (or in our case, an entire apartment) smell amazing. 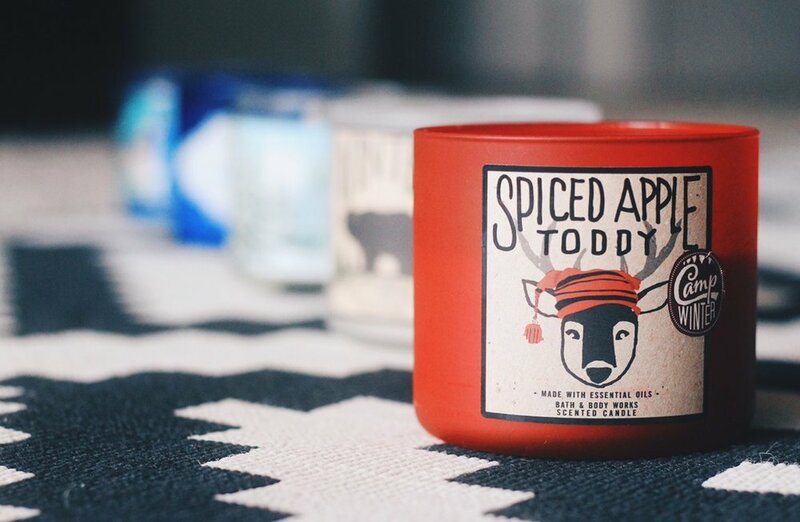 Without further ado, these are the candles you need to make your house smell like winter. Bath & Body Works is constantly having sales, so you should definitely subscribe to their email list so you get the best bang for your buck. 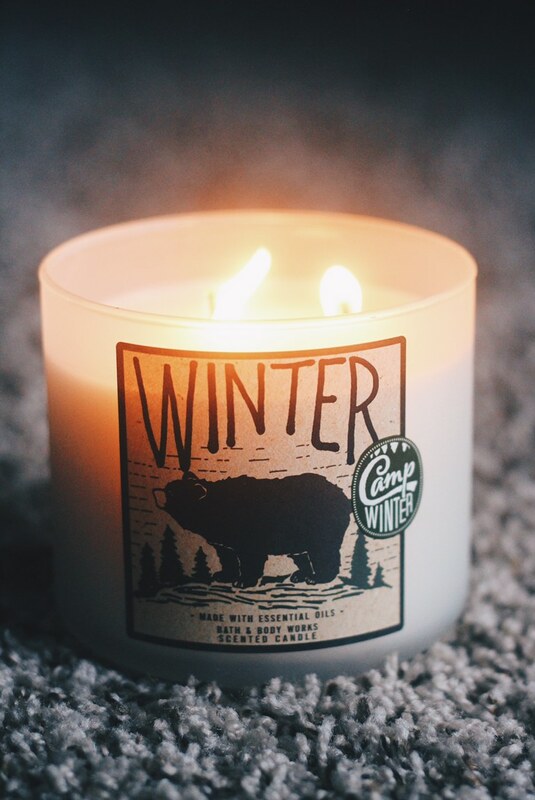 The name says it all: This candle reminds me of all things winter. It’s made with orange and fir needle oils, along with clove, and it smells like a cobbler in the oven with a fire going in the fireplace and Santa coming down the chimney, all at the same time. I’m not even kidding, y’all. 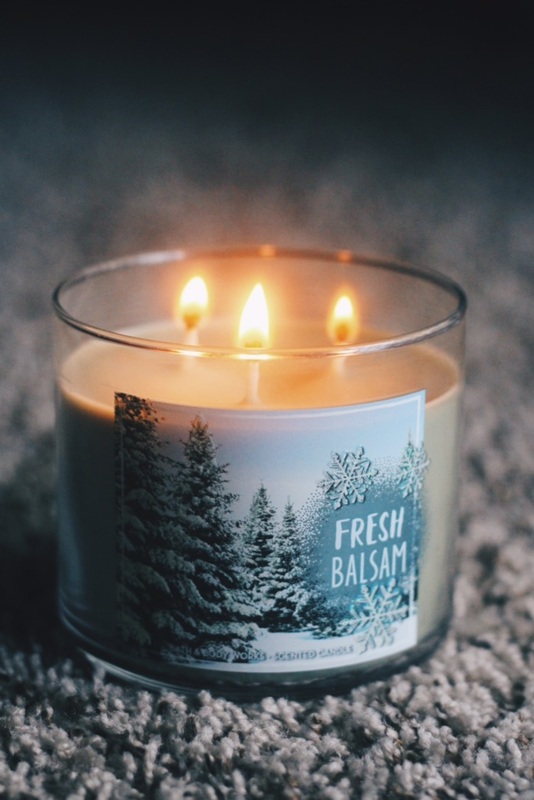 Fresh balsam is one of the store’s most reliable candles, if you ask me. I’ve never been to a Christmas tree farm, but I know what it smells like thanks to this beauty. It’s crafted with pine, cedarwood and eucalyptus essential oils. YUM. I fell in love with winter cedar at first sniff. It’s a mixture of smoked suede and white cedarwood, and it reminds me of window shopping at upscale stores and admiring their decorations. Drool. 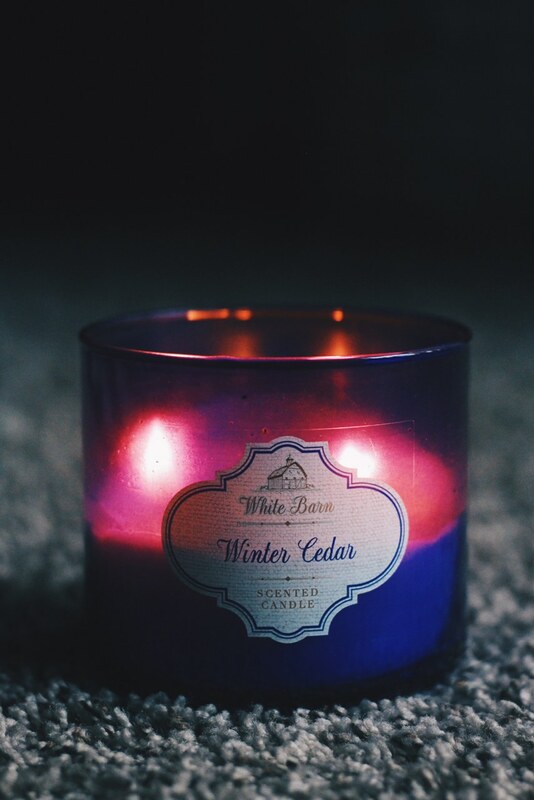 Unfortunately, it’s not available online anymore, but Winter Woods is a lovely scent that is perfect for the season. I have to be honest: I usually hate sweet-smelling candles, so I was skeptical when I first saw this one. It’s become one of my favorites because it is divine. 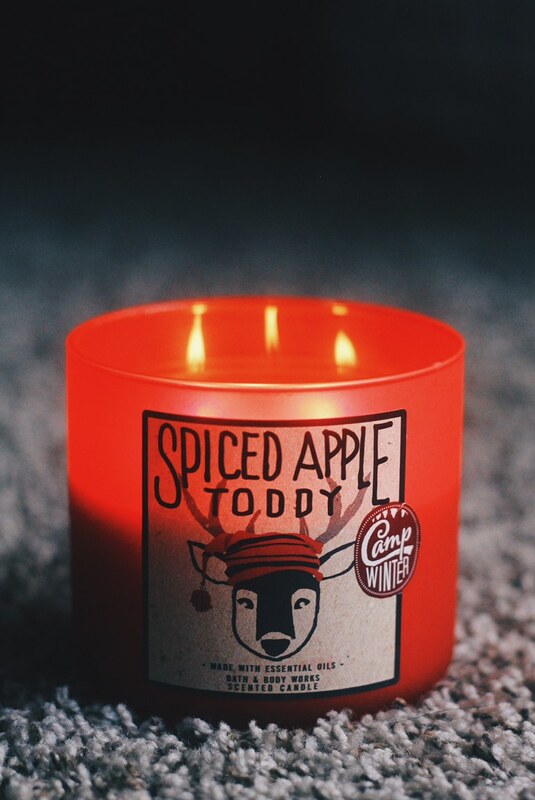 It’s made with cinnamon and clove essential oils and hints of apple brandy, and it smells like a cup of hot apple cider. 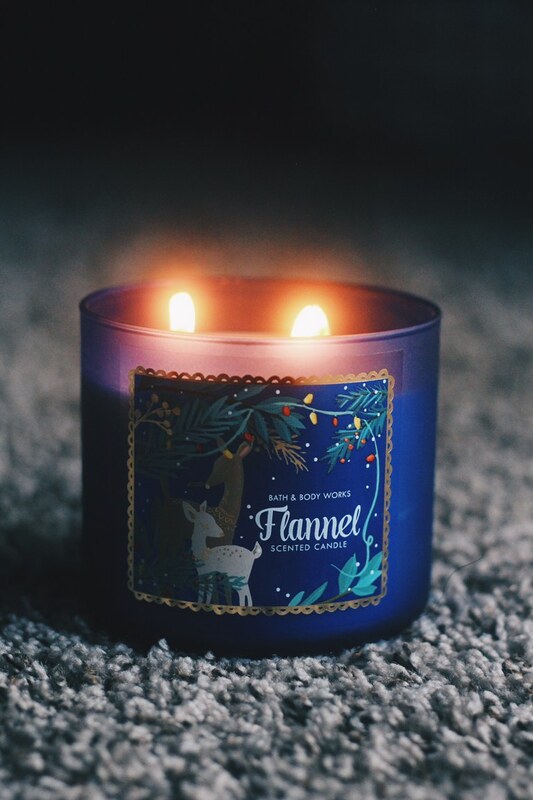 If you’re burning Flannel, you have to find someone to cozy up with. Sorry, it’s non-negotiable. If there ever was a cuddling candle, this is it. It combines orange peel, patchouli and soft musk. You have to smell it to believe it. I burn through an entire candle every fall/winter. I’ve linked Sweater Weather below because Flannel is completely gone online!